BigKeys LX is one of the most popular big keys keyboards. With 1-inch-square keys, it is ideal for early learners, users with visual impairment, and those with limited mobility. 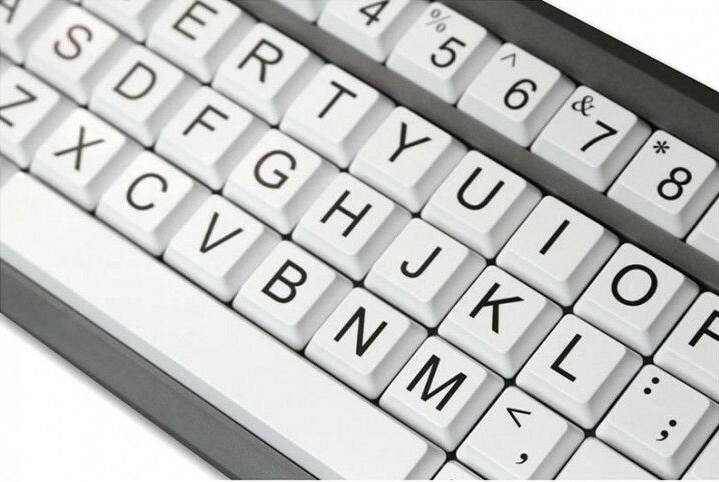 The keyboard has QWERTY layout with black upper-case letters on white keys. Contact us if you need a different layout or colour combination. We also have a methacrylate keyguard and a metal keyguard.